Even thought I've been late again this week in putting up my prompt, I did actually create a couple of pages which matched a couple of Whimsical Musings prompts. This time around, I'd like to share the layout I made using WM#288 - be inspired by weddings. Of course, I wrote the prompt after the royal wedding and so it seemed only right to actually make my own layout about the wedding in question. 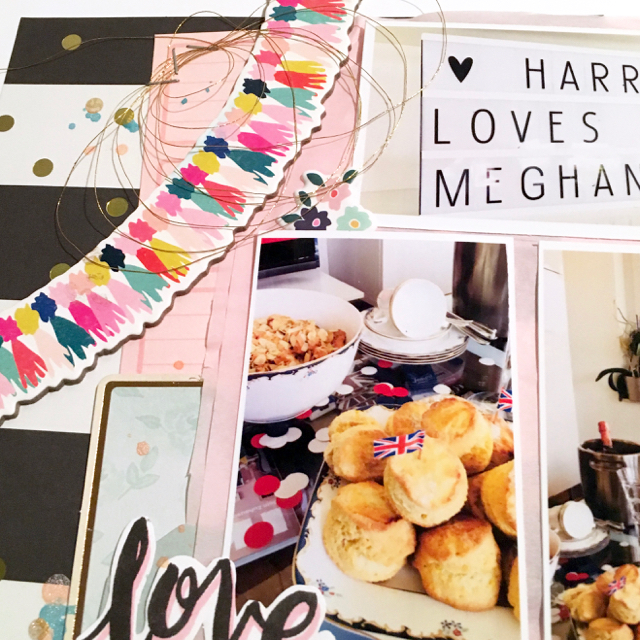 I sat in front of the tv all day soaking up all the details of the event and remembered to snap a few shots of my own decorations and afternoon tea delicacies which accompanied our viewing experience! 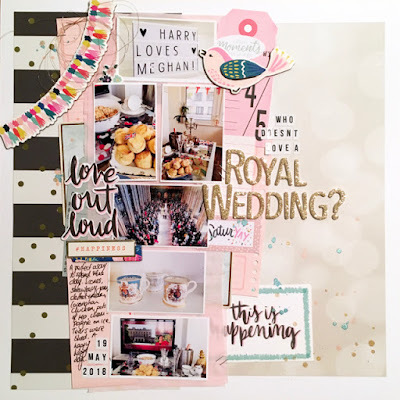 I used my Counterfeit Kit Challenge May kit, Funky and just picked out all the bits that made me happy. 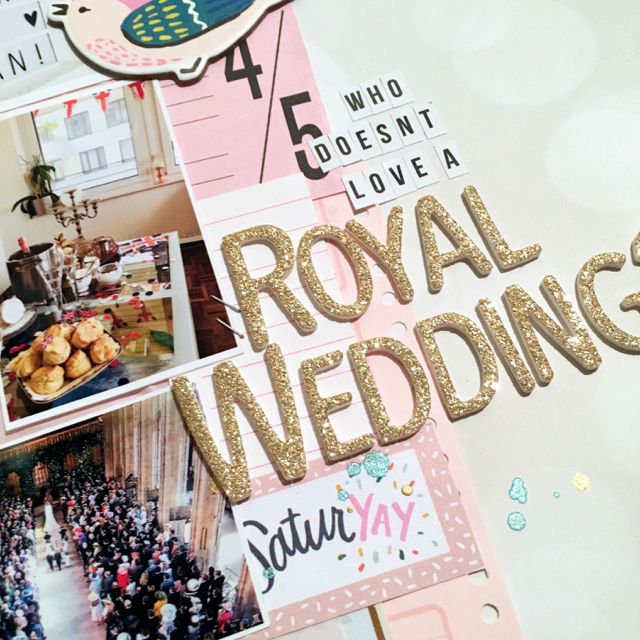 I added in two part sheets of Simple Stories wedding collection, Always and Forever, for the background as I didn't have anything suitable. I like the contrast of all the pink and aqua and colourful elements on top of the simple background papers. I just layered up lots of bits and pieces that seemed to say celebration or fun to make this a very lighthearted design. I couldn't just pick one or two photos so I printed them all out in a small size to fit in as many as I could. 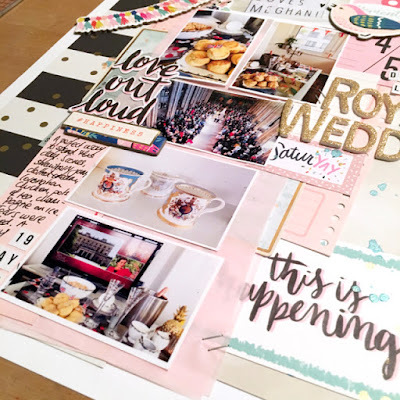 Don't forget that I love it when you share too and if you're inspired to create this week, don't forget that you can add your own creations to our Facebook group here. Please don't be shy! Tag your entry with #WMXX so we know exactly which inspiration you've taken. What a lovely LO! I love the small pics of all the details and of course ALL your signature elements... Beautiful!